Summary: Wanna an unisex bracelet? 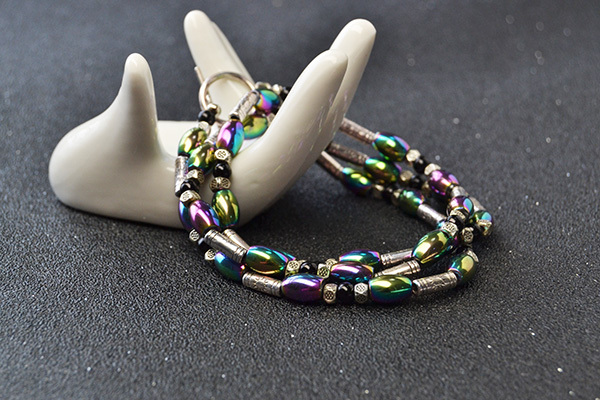 Then you can see today’s project about how to make Tibetan triple strands hematite beaded bracelet. 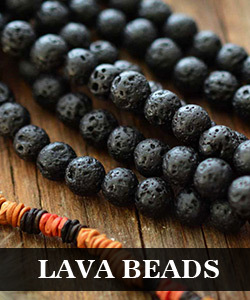 Do you like Tibetan style jewelry? 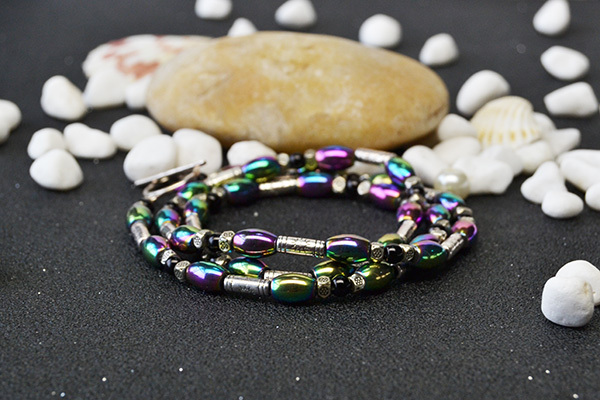 How about Tibetan hematite beaded bracelet? 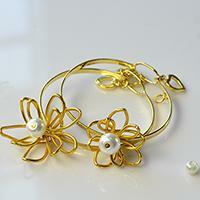 Look at this picture, do you like this cool style bracelet? If yes, just gather the materials below and follow this tutorial to make your own one! 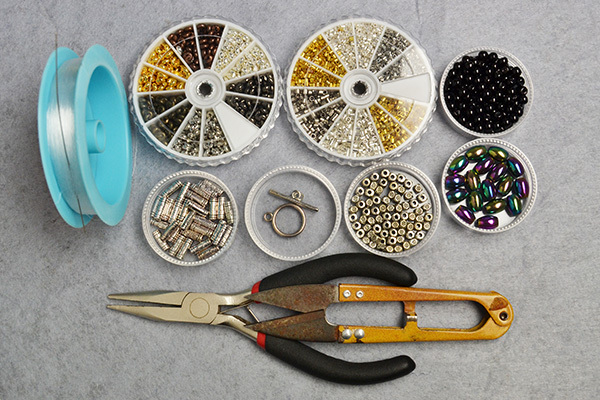 4th, slide a 4mm black pearl bead, a 4mm Tibetan cube bead, an 8mm oval hematite bead, a Tibetan tube bead, an oval hematite bead, a cube bead onto the wire in order (as shown in the picture). 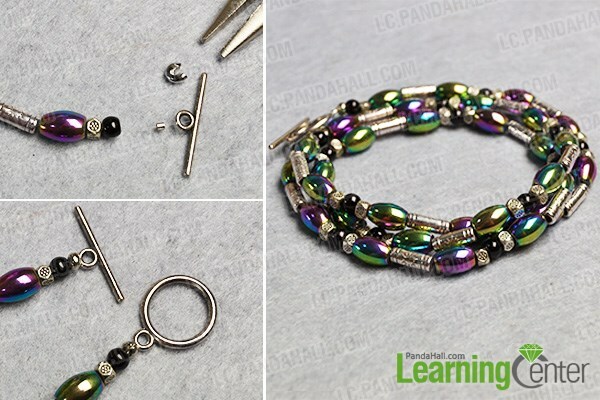 2nd, add a crimp bead and a bead cover onto the end of the wire, then fix the wire onto a Tbar to finish this Tibetan beaded bracelet making. 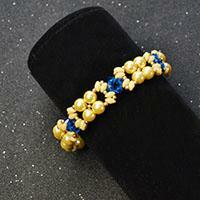 So do you have an idea to design a similar bracelet? 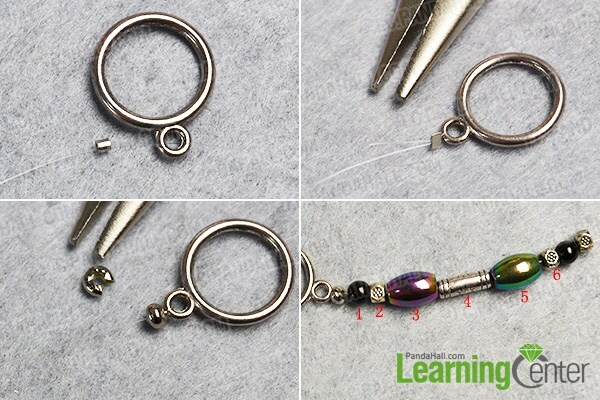 Simple steps and few materials, everyone can do it if you are willing to give it a try! Then just share us our works, see you!